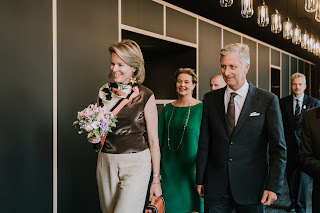 On Monday, after having had a meeting with high representatives of UNICEF, queen Mathilde had another official activity on the agenda. In the evening she visited De Warande with king Philippe. De Warande is a Flemish networking group & venue in Brussels. It celebrates its 30 year existence.